It takes a lot to make me laugh out loud at some video game character design. Game artist Hunter Mortenson and his wife Sadies have recently created this DOTA 2 courier, and he's available in the Steam Workshop. His name? 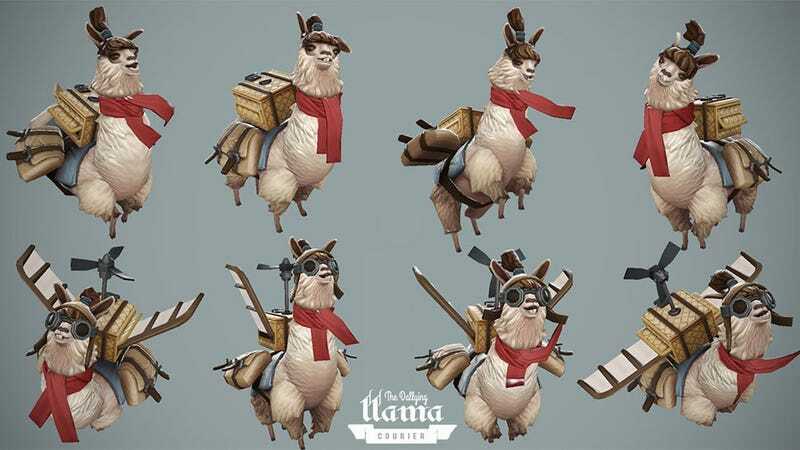 The Dallying Llama Courier (though sadly, it appears as though Valve has renamed him Llama Llama in the actual store). God, it's so stupid, but when you see it together with the little guy's twitchy little llama face, you can't help but chuckle. Or at least I did. If you can't, well, I can't help thaw your icy heart.